I first made sugar cookies for my youngest daughter’s 2nd birthday party and we all liked them so much that something tells me, we are going to make them more often! 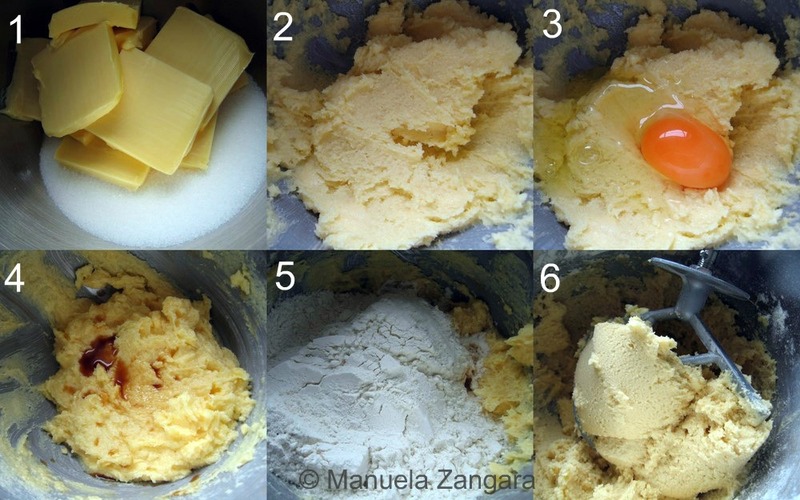 Cream the butter and sugar together (1 – 2) in the bowl of an electric mixer with a paddle attachment on low to medium speed. Mix until well incorporated, but don’t over mix or you will incorporate too much air into the dough (not good if you would like the cookie to hold its shape while baking). Add the eggs (3) and mix. Cut open your vanilla bean and scrape the seeds out. Add to mixing bowl. Or add the liquid vanilla extract (as I did – 4) and stir briefly. 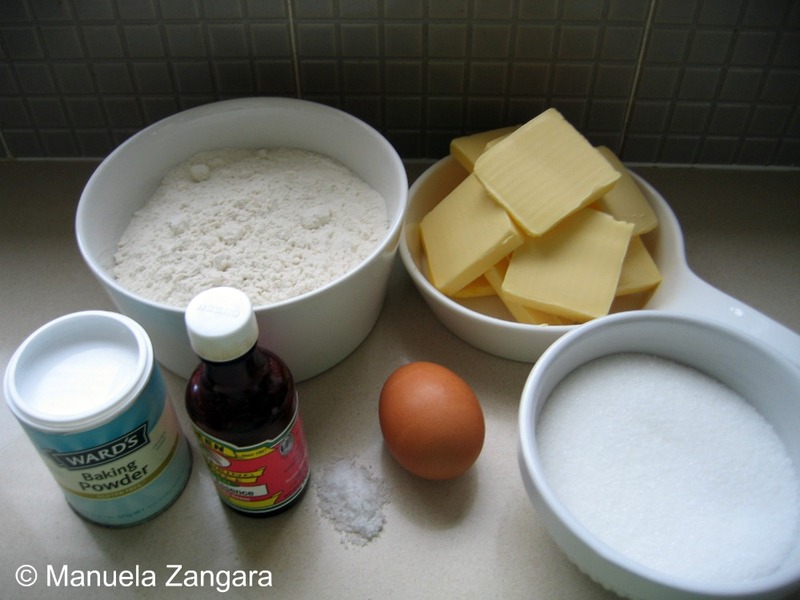 Sift the flour, baking powder and salt together and add it to the bowl and mix (5). The dough will be ready when it clumps around the paddle attachment (6) (don’t overmix or the dough will become tough). Roll the dough out between 2 large pieces of baking paper. Place it on a cookie sheet and into the fridge for at least 1 hour. 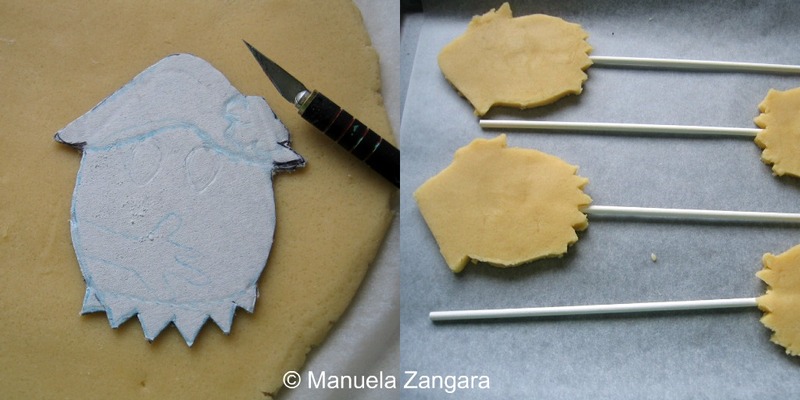 Roll out the dough further if you need to and cut out the cookie shapes. Place on parchment paper-lined baking sheets. Re-roll the scraps and repeat. 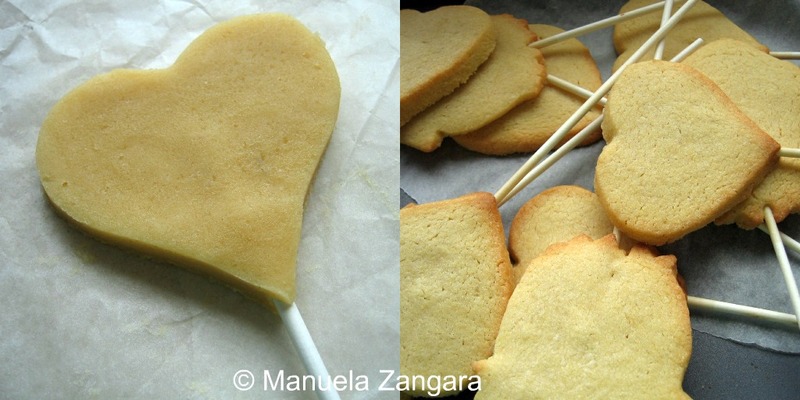 I made “cookie pops”, so I just inserted a pop stick into the cookies at this stage. Do this slowly so you don’t break the dough. Also, you may want to keep your cookies a bit thicker, just to make sure that they don’t break.